The departure of Paul Lambert and the arrival of ex-Porto coach, Nuno Espirito Santo, saw the player move down the pecking order at Wolverhampton. The loan arrangement appears to be in the interests of both Latics and Evans. Lee Evans could easily have been lining up for Wolves this weekend. He’d probably fit nicely into our new 343 system. But we’ve shelled out £15 million on Ruben Neves from Porto and he’s found himself frozen out despite only signing a new contract a few months back. There’s probably not much between him and Jack Price who remains contention at Wolves, but we’ve got a bloated squad meaning someone had to go. His obvious strength is an excellent passing range. He can ping accurate balls out wide for fun and deliver searching forward passes. He’s combative, decent in the tackle and can get forward to chip in with the odd goal. I don’t think he’s particularly mobile. You’re certainly not going to see him going past players or embarking on mazy dribbles. He’ll hold a position and feed balls into attackers who can make something happen. He did well in League One for Wolves and Bradford so it’s a no-brainer signing for Paul Cook. His quality at that level is undisputed. After we got promoted he was briefly instrumental in our Championship promotion push the following season but faded away. 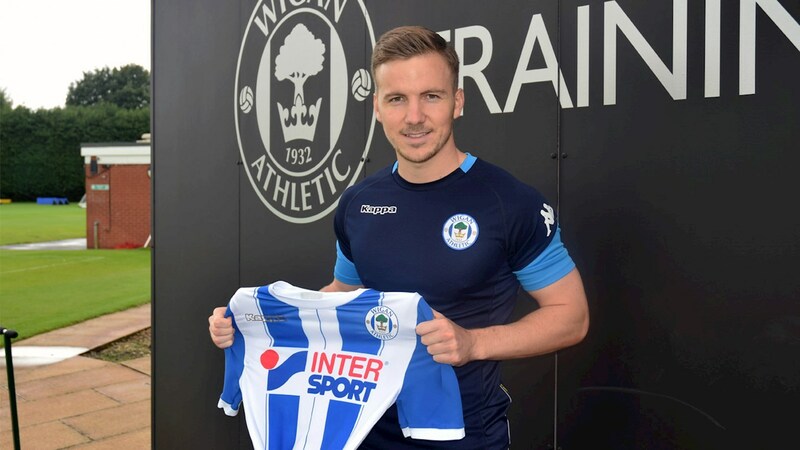 If the plan is to get the ball on the deck and play, I think he’ll do very well for Wigan and with his best mate Michael Jacobs there I’m sure he’ll hit the ground running. Best of luck for the season guys.